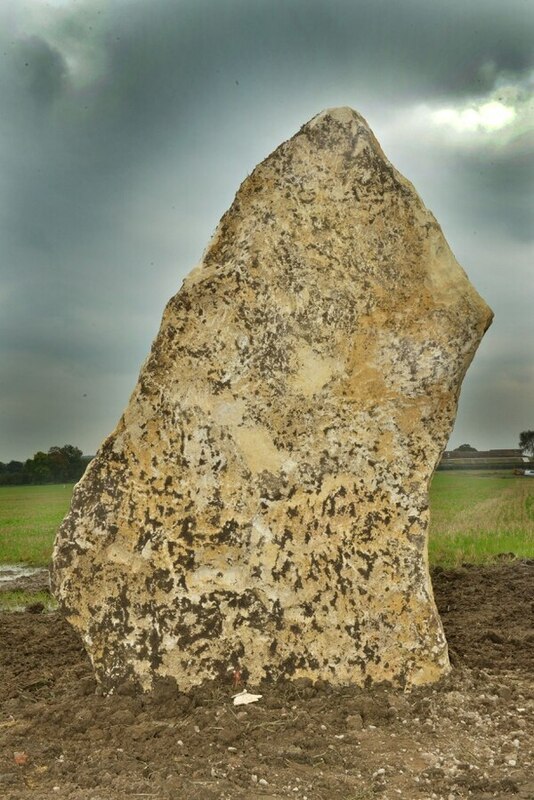 Three limestone monoliths have been laid to mark the path to Shropshire's first burial mound in 5,000 years. 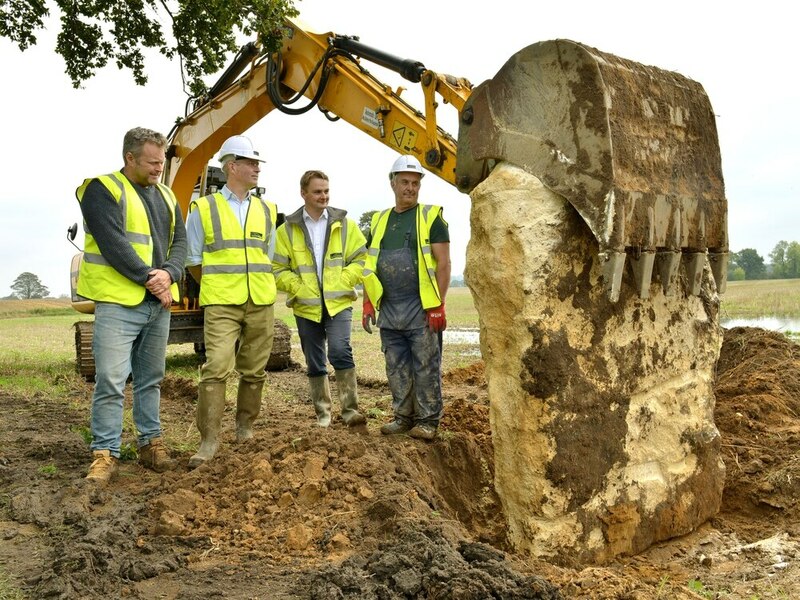 The monoliths were put in place in the grounds of Soulton Hall, Wem, yesterday, as part of a wider scheme to create the long barrow next year. 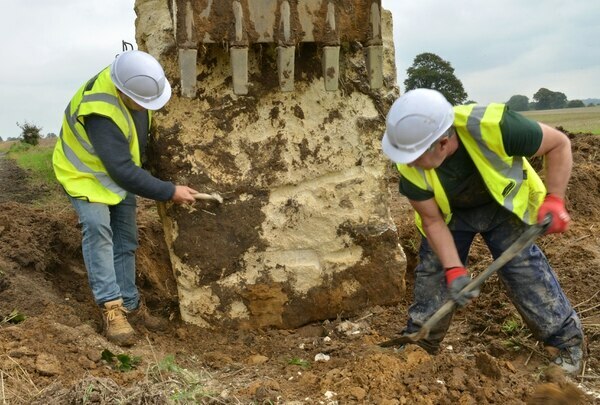 The limestone features, each weighing a couple of tonnes, stand approximately 12 feet high and six feet wide, and are the first step in the building of the Soulton Long Barrow by Sacred Stones Ltd and the Ashton family. 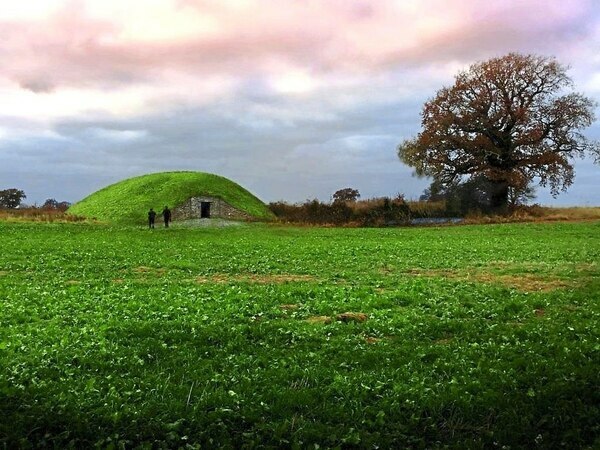 Inspired by those built by prehistoric ancestors, it will house cremation ashes and will provide an alternative venue for funerals and commemorations. One person to express an interest in having their ashes there is Pauline Dee, Shropshire councillor for Wem. She said: “When I was first approached about the proposed barrow at Soulton, it instantly struck a chord with me and I thought what a great idea it was. "I love Wem and the countryside round it and would so much like for this to be my final resting place. The barrow appeals to me as a place of peace, beautifully constructed by craftsmen in a very natural setting. Tim Ashton, of Soulton Hall, added: "It's hugely exciting to be one of the first farmers to build a long barrow in modern times.